How is a 3D printing building completed ? Recently , a 3D printing pavilion appeared in ONEC1TY community under construction and development in Tennessee, USA. The pavilion is about 6 meters ( 20 feet ) high and spans 12.8 meters ( 42 feet ). The ONEC1TY community announced that it is currently the largest 3D printing structure in the world. Whether or not this architectural work is the largest 3D printing structure at present, the digital design and 3D printing manufacturing technology behind it have conveyed a clean and automatic construction concept to people. Perhaps, many buildings in the future can be built by this kind of digital technology that is far away from dust and noise. The pavilion is not an integral 3D printing structure, it is assembled by 36 independent modules of 3D printing. The longest 3D printing module is about 5.5m long. The 3D printing technology used in the manufacturing module is provided by branch technology. Branch's 3D printing equipment is a mechanical arm that integrates 3D printing functions. Branch is also responsible for helping designers to split the design model into modules suitable for manufacturing through this 3D printing equipment. After the 3D printing of all modules is completed, they are transported to the site for quick installation. In the process of this kind of digital architecture, the building structure is built by adding materials, which hardly generates waste of materials and requires little labor. The 3D printing technology used by Branch to build a 3D printing kiosk is a multi-axis 3D printing technology. This technology almost eliminates some kind of object support needed for traditional 3D printing and opens up a new direction for future printing of new structures. 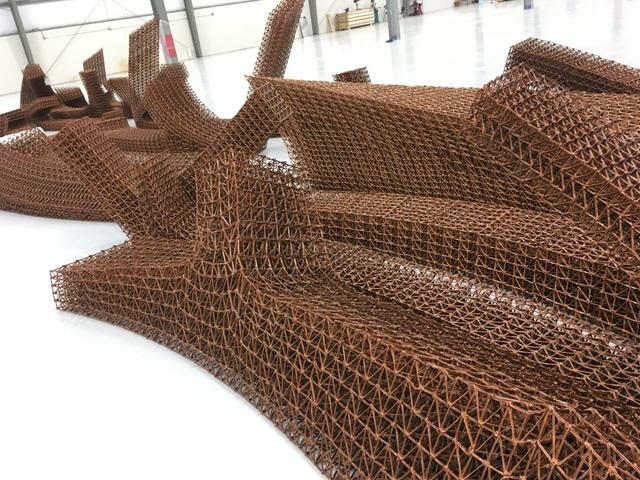 According to the understanding of 3D science valley, Branch has also developed a 3D printing mesh structure that can be used as a building support structure, the surface of these 3D printing structures can be filled with building materials, at this time, these mesh building modules play a similar role to the reinforcing bars in concrete structures. 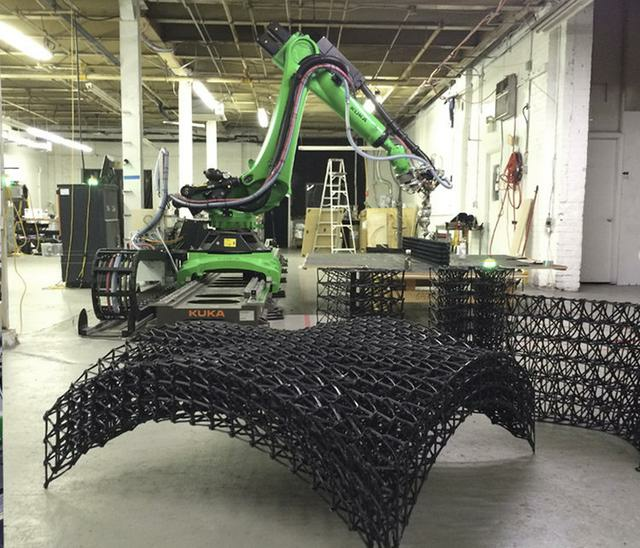 Scientists from the Gramazio Kohler research center and the Swiss federal institute of technology ( ETH Zurich federal institute of technology ) have also launched a 3D printing project for buildings, which uses robotic arms that integrate 3D printing technology to print reticulated steel structures that will provide mechanical support for the entire building. Scientists from the project team have developed a new type of craft robot to extrude concrete into mesh metal structures and are exploring the possibility that this robot can work directly at the construction site. In addition, the MX3D printing company that a company from Netherlands also uses similar mechanical arm 3D printing technology to build buildings. 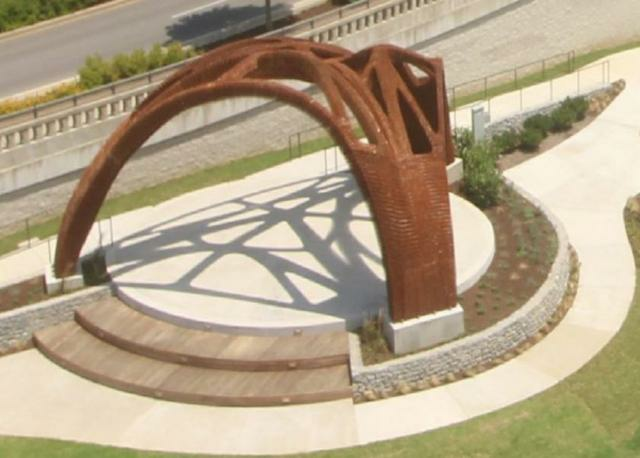 They completed the world's first 3D printing steel bridge. Mx3D's six-axis robot arm can print from any direction in the air. However, the difference is that the metal structure printed by MX3D company is directly used to support the bridge and does not need to inject cement into the gaps of the metal structure.